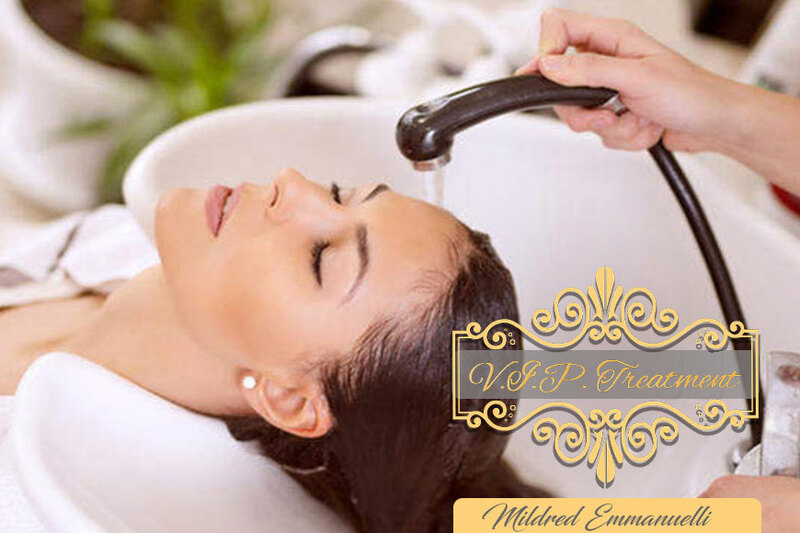 Get the treatment you deserve every time with our special VIP Membership packages, tailored just for you, because we at the Mildred Emmanuelli Hair & Makeup – thrive to set a new standard for perfect extreme makeover, special occasions and professional beauty services. Comprised of a passionate and diverse team who all share a serious top priority, our goal is to make you feel beautiful year round! With a solid expertise in esthetics and cosmetology, our services ensure impeccable professional work while promoting wellness and beauty throughout our distinguished clientele. That’s why we are proud to offer our VIP Membership packages, designed for our most loyal clients to whom has always been a sheer pleasure to serve. We’d like to take this opportunity to express our gratitude for your consistent confidence in our services and thank you for continuously selecting our Hair & Makeover services by offering you three special VIP Packages. Enjoy this exclusive invitation and treat your hair to a monthly routine service.The persistent feedback and encouragement, which has been provided, has greatly helped us in gaining in a level of respect among Florida´s beauty professionals. So, why stick with common when you can become Golden? Our main VIP Membership is comprised of one Color Touch Up, one Hair Cut or Trim and one Deep Conditioning Treatment (each monthly), Monday to Friday. For those who demand a bit extra, we have the VIP Plus Membership that includes one Color Touch Up, one Hair Cut or Trim, one Deep Conditioning Treatment, four Blow Dry per Month (including day of touch-up color) and 10% Off Other Hair (each monthly), monday to friday. Finally, for those who want to be ready for each occasion, important meetings and social events we offer the Ultimate Blow Dry Unlimited membership that includes Unlimited Blow Dry within the Month, one Hair Cut or Trim. one Deep Conditioning Treatment and 15% Off Other Hair (each monthly), Monday to Friday. Loyalty is important to us, and that comes only after being treated the best way possible – something our clients find commonly in our Salon. It is thanks to customers like you that our reputation keeps growing as Florida´s Top Beauty Salon. Thank you for making us stand firm year after year, showing the world that we love what we do, and we do it like no one other!